As the Chinese name implies, Po Pin Chau is an island cut away from the mainland. It was once a part of Fa Shan. Po Pin Chau was formed in several stages. The impact of pounding waves on Fa Shan resulted in progressive erosion on the weaker rock strata until a sea cave was formed. Over time, the cave became larger and deeper, and eventually cut right through Fa Shan, formed a sea arch. The eventual collapse of the sea arch cut Fa Shan into two parts, with one became the sea stack – the Po Pin Chau we see today. 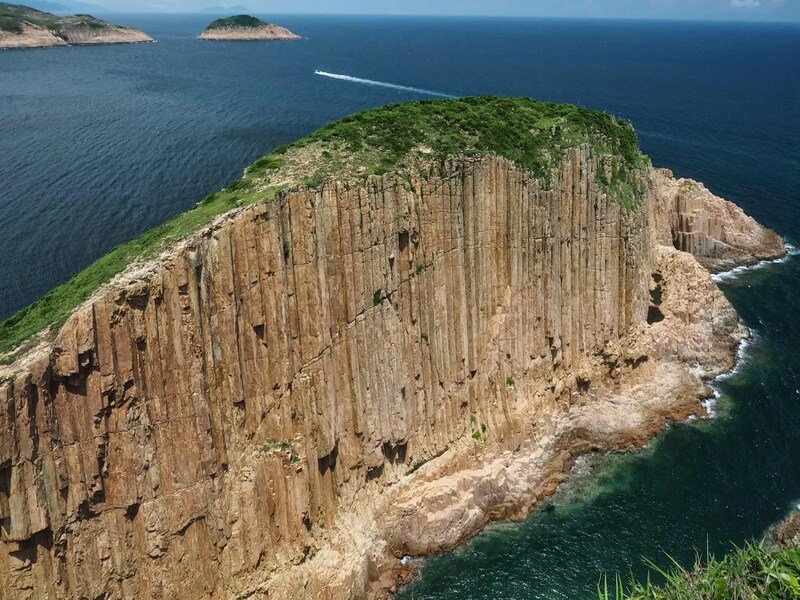 The hexagonal columns of Po Pin Chau came from a number of violent volcanic eruptions in eastern Hong Kong about 140 million years ago. It formed a gigantic caldera which swallowed quantities of lava-rich volcanic ash. The incandescent mixture evenly cooled down and contracted, forming hexagonal joints. 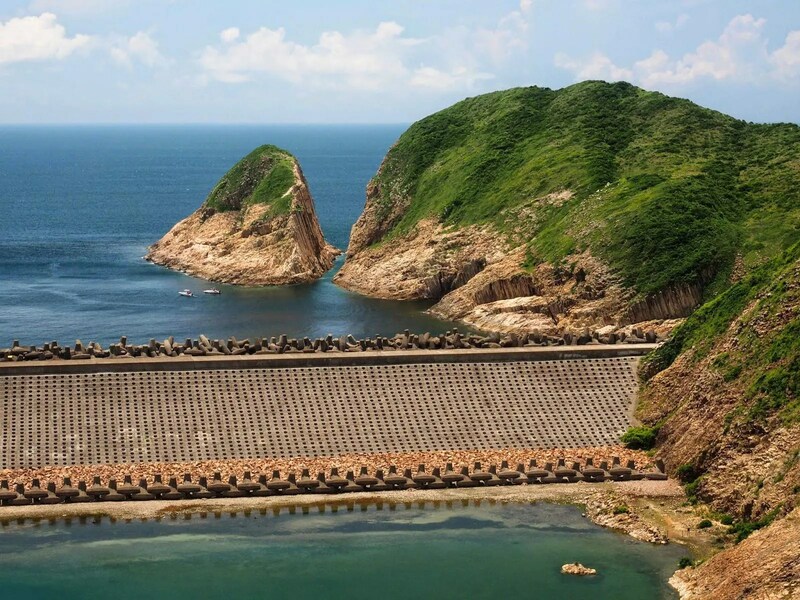 If you want to get a closer look at the Po Pin Chau sea stack, follow the High Island Reservoir Geo Trail and walk to the end of the Sai Kung Man Yee Road. Carefully climb along the wall of the water supply station and uphill on Fa Shan. Follow the small trail to the end to view the masterpiece of nature. Or, take a taxi at Sai Kung Town Center to the East dam (around HK$100). Hi JL, if you just want to look at the Po Pin Chau Sea Stack from the distance (on the dam), it is pretty easy. Just follow the route at the bottom of the article. If you want to take a close at the sea stack (like in Pic 2), it is somewhat challenging in reaching there. The more difficult part is discovering the hidden path that leads to the sea stack. Bus 94 doesn’t leave from Diamond Hill. Must take 92 to Wong Shek then switch to 94 to get to Pak Tam Chung. 96R only runs on Sundays and public holidays. Just a valuable addition to the above. No problem. Went down today to do it but the 10km walk may not leave sufficient time for me to complete before dark. Maybe another day. Thanks for writing the guide! Oh we want to go there…..